DNA testing kits have become more popular than ever, thanks to their affordability and convenience. The first companies to offer genealogical tests directly to consumers emerged around 15 years ago, but these services were expensive and the tests typically took place at university laboratories. Today the picture is completely different, and for around the cost of a week’s food shopping for 1 person, consumers can purchase a home DNA testing kit. 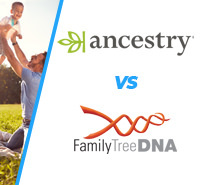 Genealogy DNA kits sold by companies such as Vitagene and 23andMe – who we compare in this article - collect DNA samples from either a person’s saliva or a swab of the inside of their cheek. Their labs then examine the customer’s DNA for genetic information and to offer insights on that customer’s ancestry. 23andMe​ offers one all-in-one package for $99, which includes a detailed final report on your DNA and ancestry. Your saliva collection kit should arrive within 3 to 5 days of ordering, and express shipping is available for those who want the test to arrive even quicker. Your kit will include instructions to spit in the tube provided, register your saliva collection tube online using a special barcode, and to mail the kit back to the 23andMe lab in a prepaid package. 23andMe uses multiple software, hardware and physical security measures to protect the computers where it stores customer data. It also stores personal information and genetic data in separate locations, as per the industry’s security standards. It only includes customer data in its research with the customer’s consent. 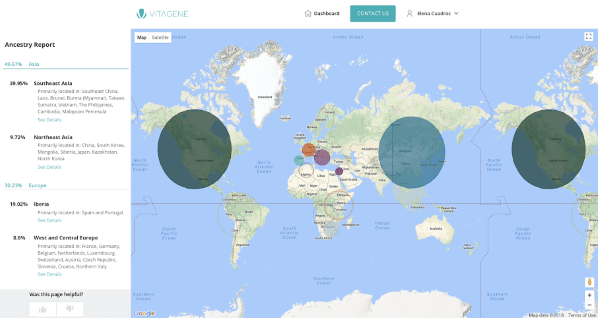 Vitagene​ is an emerging player in the DNA testing business, offering 3 tiered packages from a basic $49 package up to a detailed $149 package. 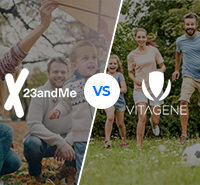 In terms of delivery, Vitagene is very similar to 23andMe. Your DNA collection kit arrives within 3-5 days, although there isn’t an express shipping option. The kit will include instructions on how to provide a sample, which you will then to send back to the lab in a prepaid mailer. For the $49 health report, simply upload your existing DNA data (from 23andMe or AncestryDNA), complete a short lifestyle questionnaire, and you will receive your results within 1-2 weeks. Like 23andMe, Vitagene places a lot of importance on security measures. It stores customer results and DNA samples without their name or other identifying information. As per the industry standard, it also destroys physical DNA saliva samples after analysis. 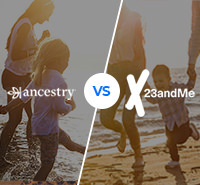 When comparing the 2 providers, 23andMe stands out as the winner due to the sheer number of features. 23andMe’s service is built around its DNA report, which is one of the most comprehensive and detailed on the market. On the other hand, Vitagene offers a bunch of other features that some people might find handy – including a simple health report. Most expensive package includes a month’s worth of supplements based on your DNA findings. 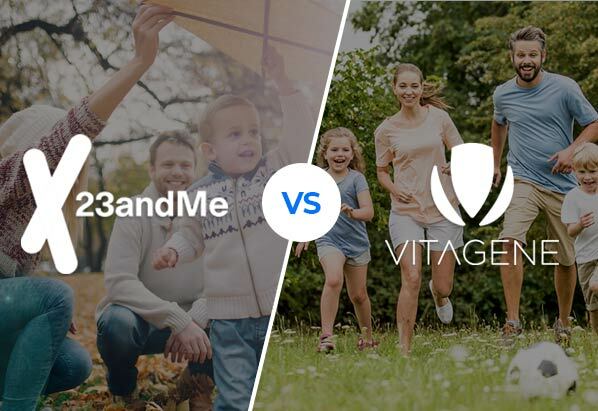 Although Vitagene offers the cheapest package at $49, 23andMe offers the best value when comparing the 2 companies’ packages. Vitagene’s $49 health report is only available to those with existing DNA data from – and here’s the catch – 23andMe or AncestryDNA. Its $79 package includes a DNA test kit and ancestry report, as well as a health report. For its most expensive package, the $148 Wellness Bundle, it offers a health and ancestry report, plus 1 month of 4 personalized supplements. If speed is your priority, Vitagene wins out. Vitagene promises to make your results available on your online dashboard within 4-6 weeks of receiving your sample. 23andMe takes longer, and it is committed to making your report available on your online account within 6-8 weeks. What 23andMe lacks in speed it makes up for in sheer detail. 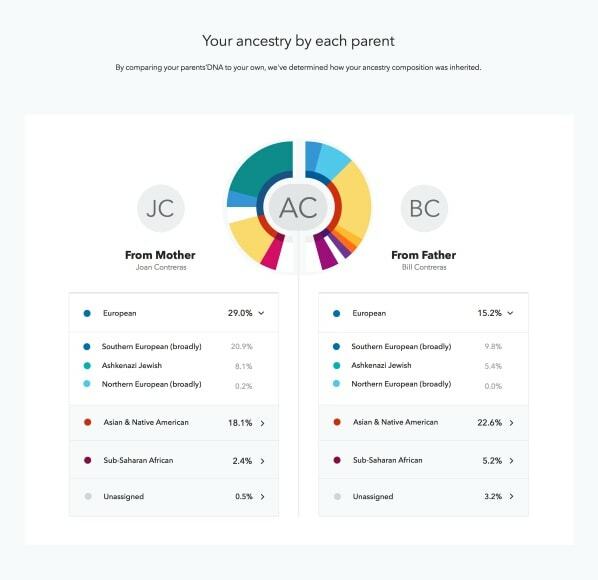 As mentioned in our features comparison: 23andMe offers a comprehensive, readable report of your ancestry and DNA, including your origins and DNA composition, with a breakdown between 150 different regions around the world. On the other hand, Vitagene’s service is angled towards consumers who are more interested in health data, and therefore its DNA report is noticeably lighter on details. As one of the largest players in direct-to-consumer DNA genealogy, 23andMe can draw on a database of more than 3 million genotyped customers worldwide. This gives it a strong advantage over its competitors, as it has a lot of data to draw on when assessing the genealogy of new customers, and it can more easily match you up with distant relatives from around the world. Vitagene doesn’t disclose the size of its database, but as it is a newer player in the market – it’s reasonable to assume its database is smaller than 23andMe. 23andMe wins out in a comparison of DNA and ancestry analysis, as it offers the most comprehensive services on the market. 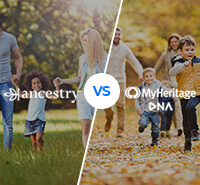 If you’re interested in both a detailed ancestry breakdown and a health report, then you might want to consider using both companies: start with the 23andMe DNA testing kit for $99, which gives you a detailed breakdown of your genealogy; once you get your results, sign up for Vitagene’s $49 health report, and upload your 23andMe DNA results to Vitagene’s online system to get your results. This combined method costs $149, and delivers the best of both worlds – comprehensive DNA analysis, and a tailored health plan.